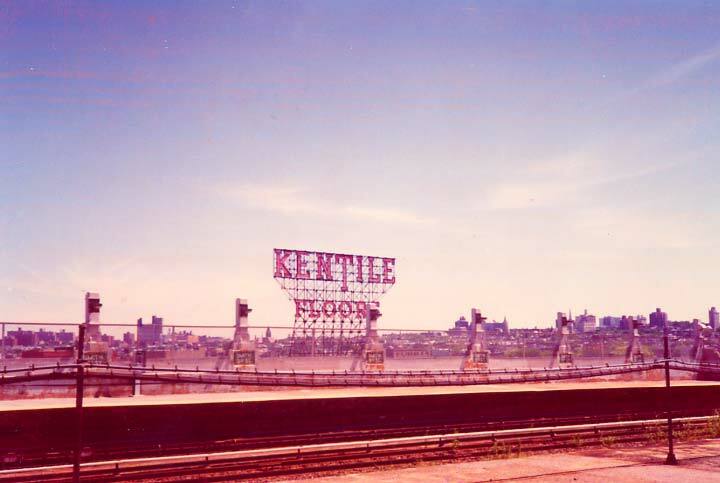 In 1999, waiting for a train at the Smith-9th Street elevated IND station, I snapped a photo of the massive Kentile Floors neon sign, built to attract business from the passing IND trains on the viaduct that loomed over 9th Street near the Gowanus Canal unril February 2013. It is one of a number of now-defunct large neon signs that can be found in the Gowanus and Red Hook areas, springing up from the 30s through the 50s to be noticed by IND riders and passing Gowanus expressway motorists. Note also the former station lighting at Smith-9th. The station was renovated from stem to stern in 2013, replacing these old fixtures with new railings and lighting. 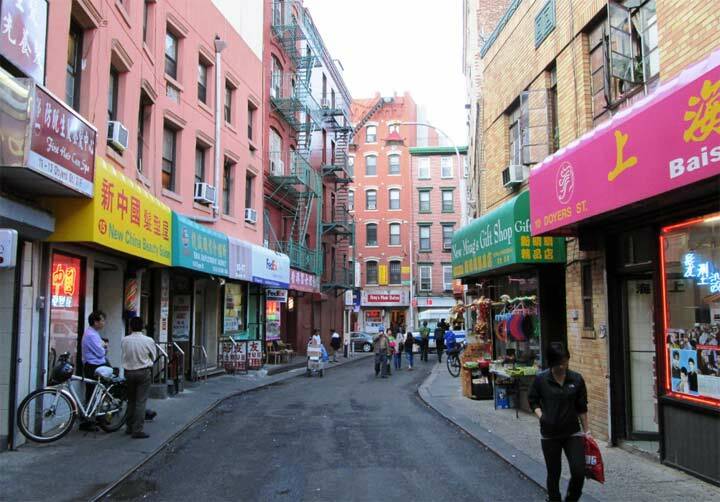 When I last read about the sign’s fate in Curbed in January 2017, a developer planned to spruce up a long-unused playground under the elevated tracks between 2nd and 3rd Avenues and 9th and 10th Streets, splitting up the letters in KENTILE, mounting them separately on ten-foot tall planters. This would be disastrous. Mount the sign intact, or don’t bother. My parents met at Kentile and eventually married. Their marriage lasted more than 5o years!